Offer yourself a regenerative break and dive in the clear and heated water of the pool reserved to the guests of our hotel. 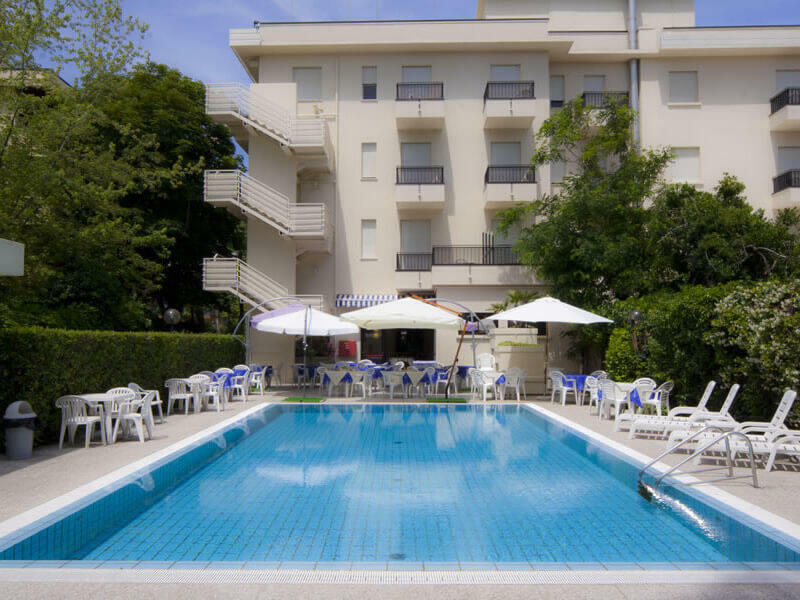 Long swims, a moment of relaxation or play with your children, always supervised by the watchful eye of the lifeguard: you choose how you want to spend your time in our hotel with swimming pool in Riccione. 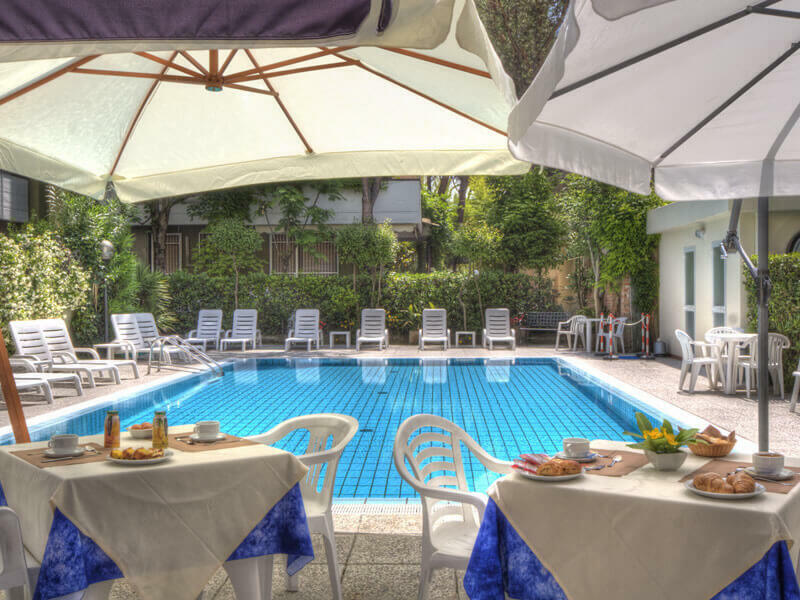 In this relaxing environment every morning we serve you a rich breakfast with homemade cakes, fragrant brioches, fresh fruit, delicious doughnuts, inviting cold cuts, delicious cheese and every kind of hot and cold drink. 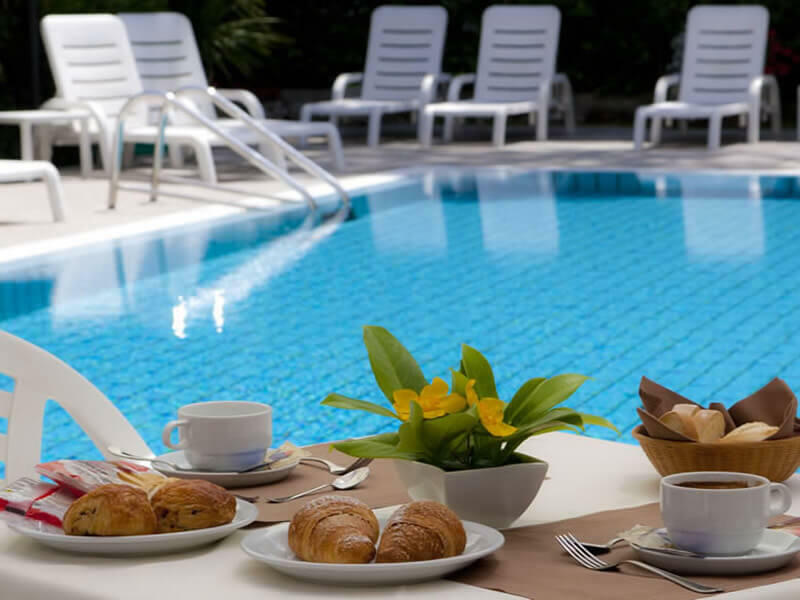 Our hotel with heated swimming pool in Riccione will make the stay for guests on holiday even more pleasant and relaxing.